While the news is typically filled with reports of cyber breaches in large corporations including Target, American Express, and Facebook, we rarely hear about attacks on small businesses. According to experts, 55% of small businesses have experienced a cyber breach, but few are taking measures to properly protect their finances. As a business owner, you understand the benefits of business insurance and probably already have general liability, commercial property, and business auto insurance. Do you have insurance to protect your business in the event of a cyber attack or information breach? As we continue towards a more connected society, cybercrime will only continue to increase its severity and frequency. Businesses should take precautionary measures to prevent an attack and protect their financial resources in the event one occurs. Cyber liability insurance protects businesses in the event of a data breach that compromises sensitive information. In addition to covering privacy issues, cyber liability also covers ransomware attacks and theft of intellectual property. All types of businesses should buy cyber liability insurance including small, large, for-profit, and not-for-profit organizations. If you conduct business online, you are at risk for a cyber breach. If you store sensitive data in-house, you are also at risk of a data breach. Many cyber liability insurance policies include coverage for online and offline breaches. What Does Cyber Liability Protect You From? Cyber liability insurance also covers loss of business income caused by the breach which is especially beneficial to small businesses that have a limited number of services or products. Where Can You Buy Cyber Liability Insurance? 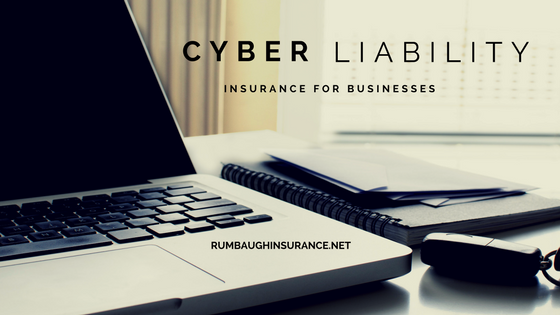 Contact your insurance agency to inquire about available cyber liability insurance options for your business or give the business insurance experts at Rumbaugh Insurance a call today at 717-632-6001. Located in Hanover, PA, we are ready to help businesses in Hanover and surrounding communities secure the right insurance. As an independent insurance agent, we will submit your information to multiple carriers so you can find the right plan for your budget.